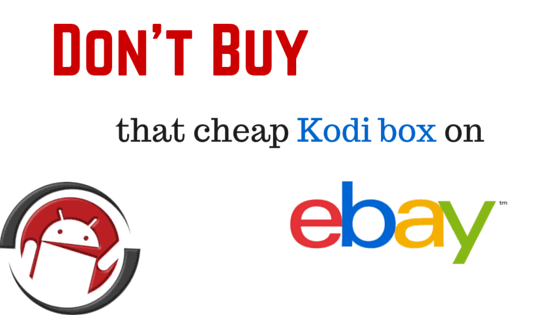 Don't buy that cheap Kodi box on eBay! 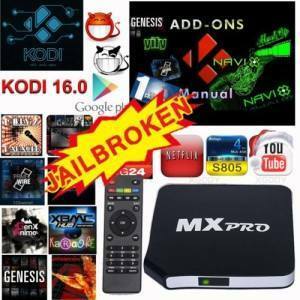 Home » Streaming Devices » Android TV Box » Don’t buy that cheap Kodi box on eBay! There’s this great looking, and really cheap Kodi box on eBay for $50. Fully Loaded. Jailbroken! What could go wrong? I love eBay. Well, at least I used to. I’ve got somewhere close to 2000 feedback over the last fifteen years, or so. During that time I’ve met some great sellers, but I’ve also met some real sleazebags. The trouble is that when you buy computer equipment on eBay, or Craigslist, or even from a yard-sale down the street, you never know what you’re getting. I ordered an M8S, fully loaded from eBay and I’m having some trouble upgrading it. I get a pop up saying I am running an old version Kodi (14.2) and Genesis add on says I am running an old version and I should use SALT instead, and further more I am not able to add Real Debrid. When Team Kodi changed their name from XBMC to Kodi. One of the main ones was so that they could protect their reputation from people and companies who were using the name ‘XBMC’ as part of their company names. As you can imagine, this caused a lot of confusion. – Listings have been removed. A list of items that were removed can be viewed at the bottom of this message. – We have credited any associated fees to your account. Your listing was removed after the rights owner notified us that your item violated their copyright. We urge you to contact the rights owner directly for more information about why they requested the removal of your listing and whether you can relist the item. Please be sure your current and future listings follow these guidelines, keeping in mind that additional violations could result in the suspension of your account. 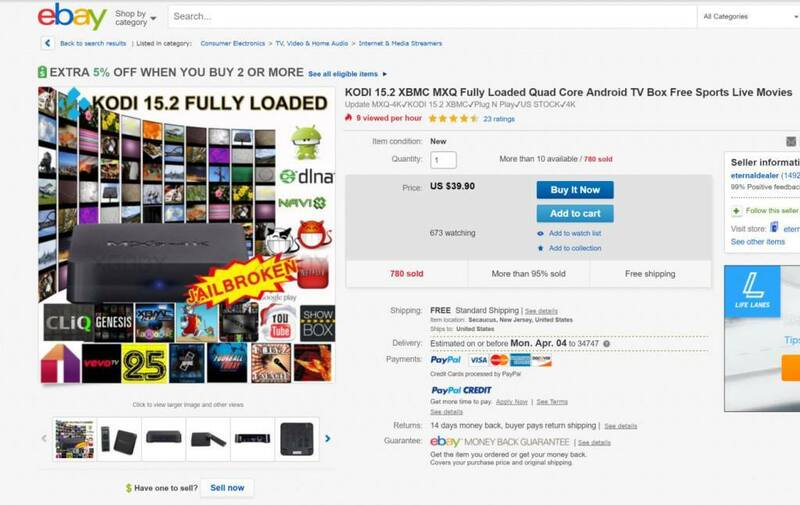 The rights owner or an agent authorized to act on behalf of the rights owner, XBMC Foundation, notified eBay that this listing violates intellectual property rights. When eBay receives a report of this type of violation, we remove the listing to comply with the law. We encourage you to contact XBMC Foundation directly if you have any questions. But causing confusion isn’t the only reason that an eBay seller would have their cheap Kodi box listings removed. Officially, those listings were removed for using the Kodi brand as part of advertising a product that violates the DMCA (Digital Millennium Copyright Act). Listings can also be pulled for altering the Kodi app without expressed approval from Team Kodi, installing Kodi add-ons that violate the DMCA, or even changing the Kodi logo without consent. What does a normal “Fully Loaded” Kodi box listing look like? Why is it confusing? Team Kodi member Martijn offered a little insight. There are a couple of great places to find Android boxes for sale. If you buy from one of them, you’re getting more for your money. You’re getting support after the sale, including a return policy if it’s defective. Most importantly, you’re getting piece of mind that your TV box is brand new and spyware-free. No Craigslist seller is going to give you that. 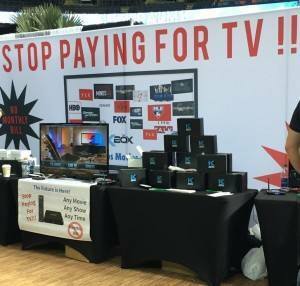 The bottom line is that you may get a great deal on a TV box on eBay or Craigslist. Or you may get more trouble than you’ve bargained for. Unless you’re OK with throwing money away, it’s just not worth the risk. I say amen to the above. I purchased an S812 box from GearBest and it was received defective. I contacted GearBest and you wouldn’t believe the nightmare of their byzanitne return procedure. I received the box on March 8 and just today I passed the final test of their return procedure and received their RMA. It took me almost 4-weeks from the time I ordered the box and from the information I received today I can expect 4-6 weeks before I see the credit on my Paypal account. With insurance, I paid approx $63 for this box and am now going to have to pay somewhere between $10-15 for it’s return (they did initially ship the unit to me with free delivery.) From now on, even though I know the product originated in China, I’ll deal with Amazon, etc. where I know I will be handled with honest and fair customer service. This dumb old Norwegian has learned his lesson. Don’t try to save a couple of bucks when in the end you will get and hundred bucks worth of grief! I’m sorry to hear that Ken. Thank you though for sharing your story. Hopefully it’ll help at least one person not to fall into the same trap! Tim, I clicked onto this article hoping to get advice on what to buy. I am ok with paying a higher price to have a fast and reliable device. Problem is, everyone is advertising theirs as the fastest and bestest. What should I look for? ANy advice would be appreciated. Hi Lawrence. Thanks for your comment.Well, you’re in luck. I just polished off an updated version of my recommended TV boxes for 2016. Nice! How do you like it? Hopefully I’ll be taking a look at the GT1 in a few weeks. I’ll be reviewing some of the major Chinese retailers and that is one of the boxes I’m ordering as a test. I’d say roll the dice on a dirt cheap jailbroken box (copped mines on eBay for $17.99). If it survives, you’ve beaten this glutton System with the sweetest deal. Jodi is a waste of money. I have 6 different jaibroke fire sticks and none of them work. JD movies has someone sitting in a theatre with a low quality camera or language is foreign!! If you wish to test the KODI system before you buy a box, then simply download the KODI software to your favourite pc. Get it running there and test. It’s opensource software, so it downloads for free. Happy testing and remember, the content you’re watching is only as good as the uploader makes it. Search around for content. Some is good. Some is bad. My main problem with M8 kodi TV box is how slowly external usd hard drives are a accessed. A real pain if u have, say, a very large collection of mp3 s on hard drive. Windows based computers have no problem. Essentially it makes the box useless of large external hard drives. I am going with “jesus box tv pro”. I am new to this forum so let me hear any opinions on this box please. It seems to ne to have the support and guarantees needed to make it legit.